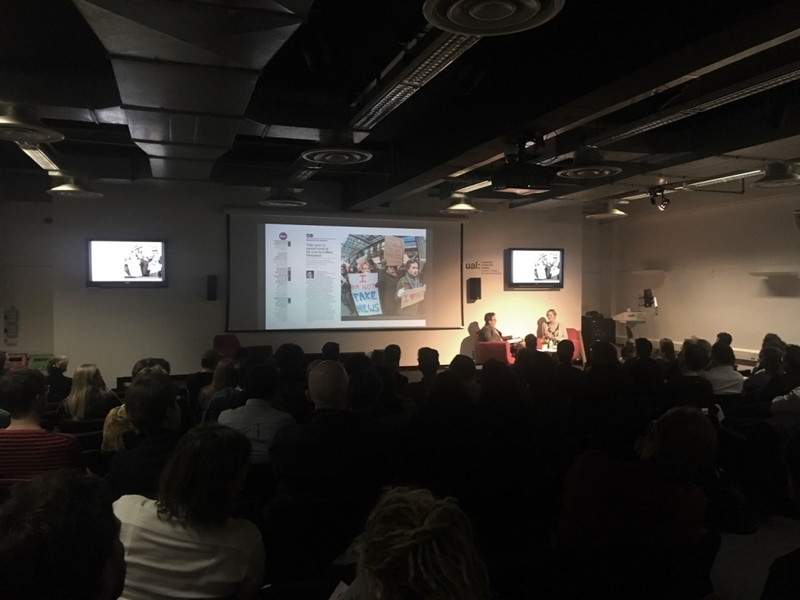 Last Thursday evening saw the DG team, guest speakers and readers gather at the London College of Communication in London to launch the new issue of Delayed Gratification in style. 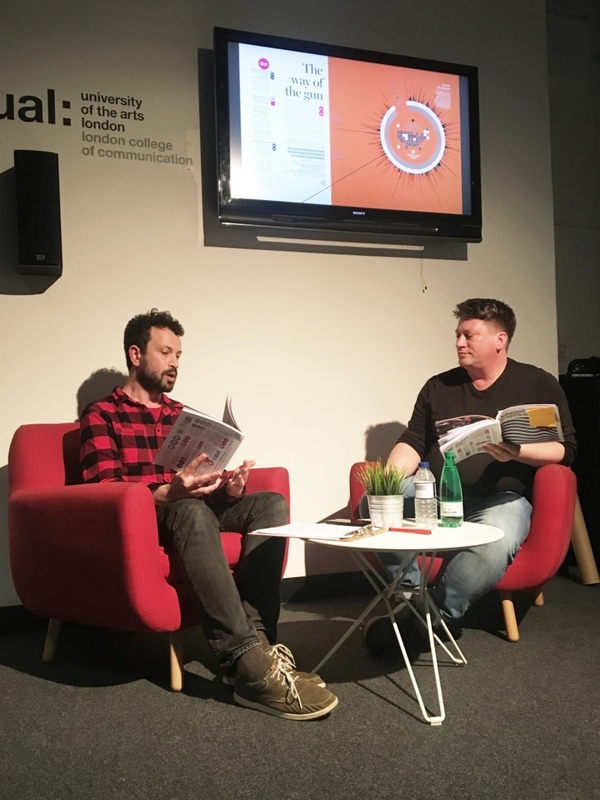 After drinks in a hastily constructed infographics gallery, we previewed four stories from DG #29 onstage. 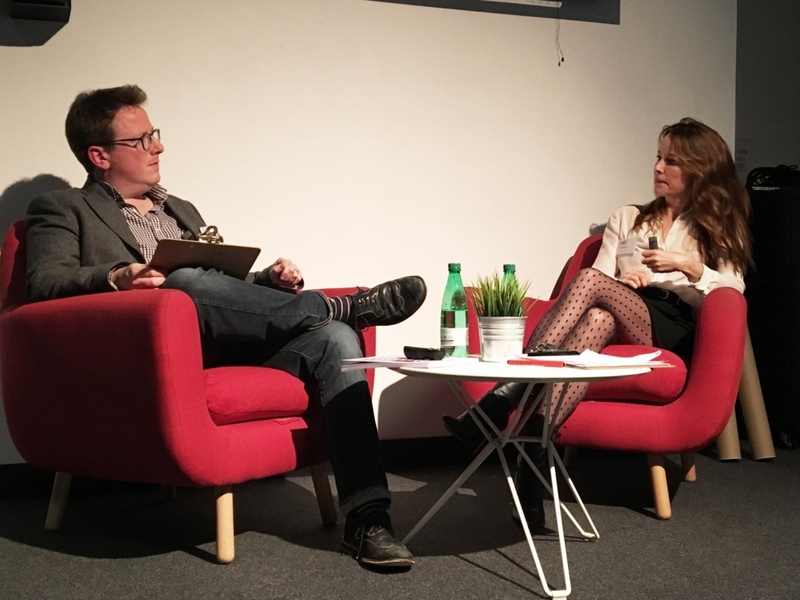 The event began with arguably the most impactful news story from the quarter, with our editorial director Rob Orchard having a thought-provoking discussion with actor Kirsty Dillon about sexual harassment in the entertainment industry and the wider impact of the Harvey Weinstein allegations. For the new issue our associate editor James Montague travelled to Iceland to meet the dedicated, delirious fans of the smallest nation ever to qualify for the World Cup finals. At Slow Journalism Night he talked to our other editorial director Marcus Webb about his experiences following the Icelandic national team, and he also talked about writing a story for our previous issue, when he was in North Korea at the very moment the country unexpectedly launched a nuclear test. Covering the final quarter of 2017, the new issue opens with our coverage of the Las Vegas mass shooting on 1st October. To cover this tragedy our associate editor Matthew Lee pored over vast amounts of data on gun violence in the United States and sent a load of spreadsheets to our art director Christian Tate, who magically turned them into eight pages of striking infographics. Our third discussion of the evening saw Matthew and Christian talk about how we can use infographics to cover major events such as the Vegas shooting in a unique and compelling way. The evening ended with Rob speaking to the acclaimed author and journalist Heather Brooke, who broke the MPs’ expenses scandal in 2009. The wide-ranging discussion took in ‘fake news’, the state of British investigative journalism and the health of the media. 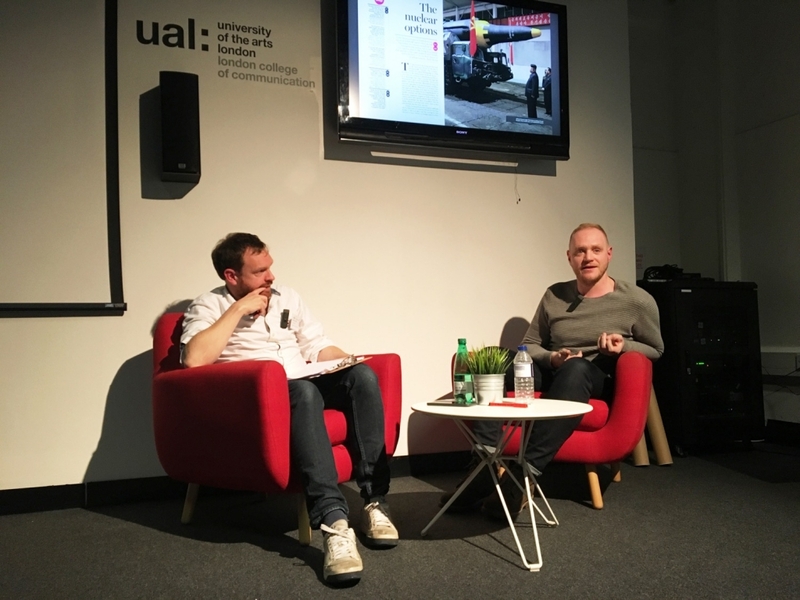 If you missed out on tickets this time, don’t worry – we’ll be back at the London College of Communication in June for our second Slow Journalism Night of the year. Before then we’re running our feature-writing class on 12th April and our next infographics class on 10th May. DG subscribers get discounted tickets for all our events and classes. This entry was posted on Thursday, March 29th, 2018 at 1:07 pm and is filed under Events and classes, From the team.